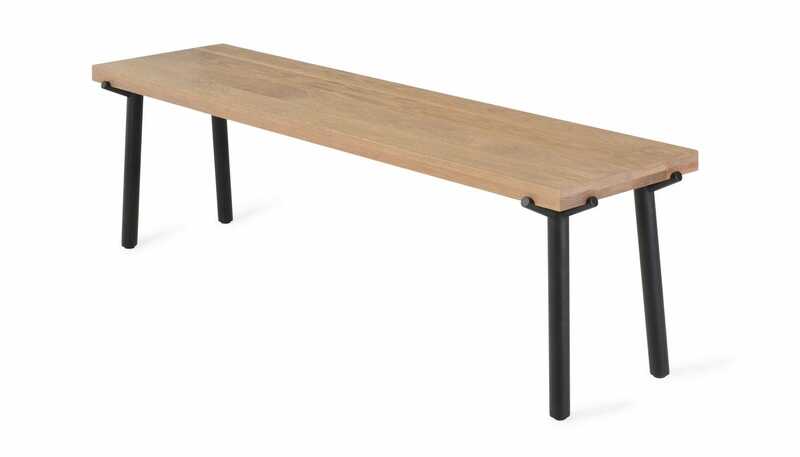 Crafted from solid, weathered oak, this communal bench has been seamlessly joined to create a beautifully smooth yet rugged surface. The nature of the material means that the look and feel of this table will age over time depending on the surroundings, giving each piece its own unique character. 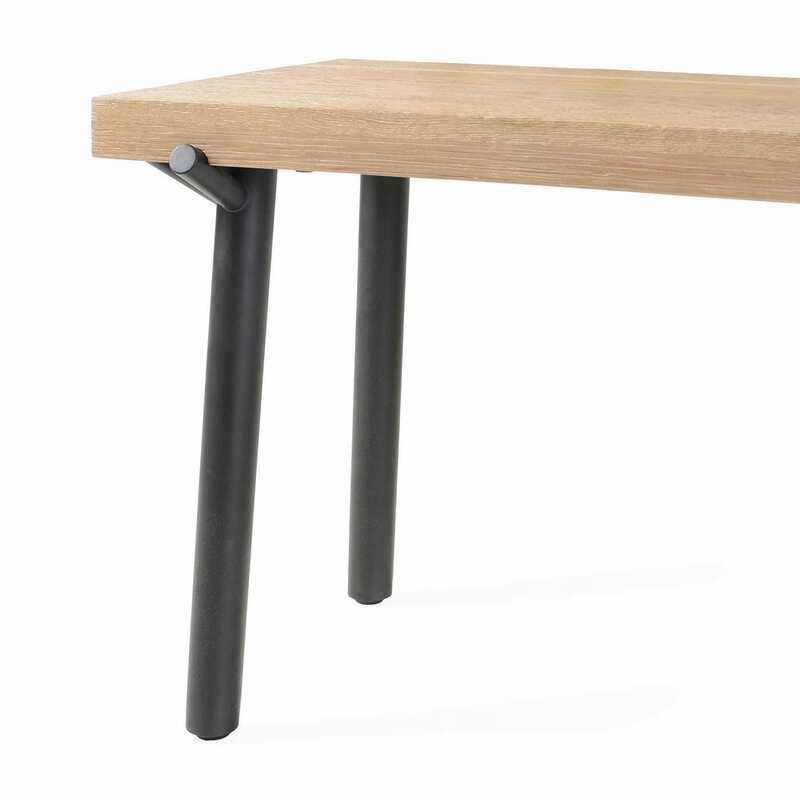 This solid wooden top sits on black powder-coated steel legs, their tubular form lending a contemporary industrial edge that is juxtaposed by the distinctive branch-like arms. 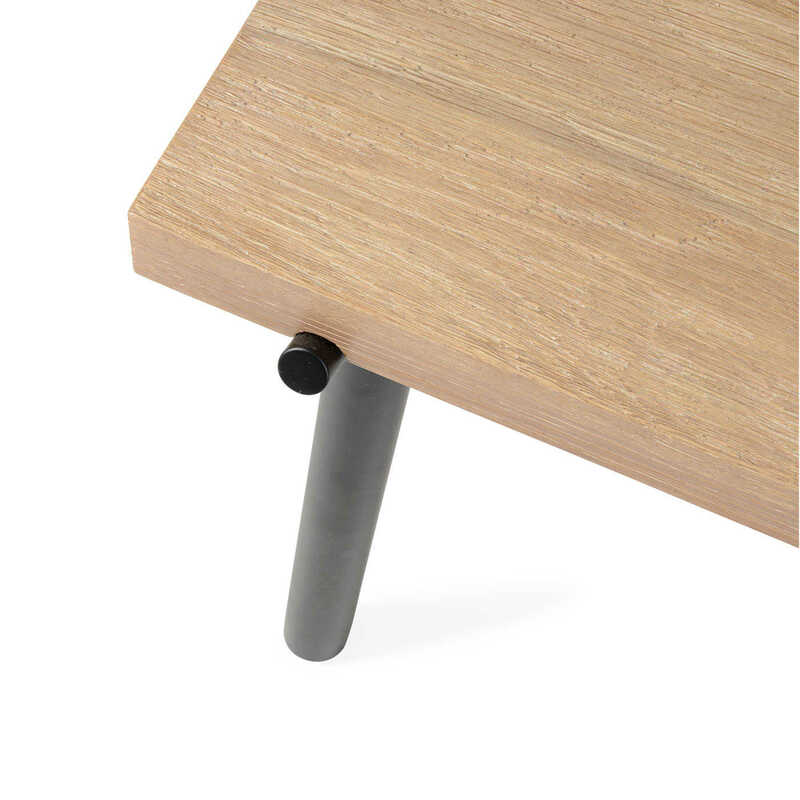 Fixed at an angled lean, the tall legs provide sturdy support without the use of any bolts, screws or glue, with the jutting arms fitting snuggly into the curved cutaways on each corner of the tops underside. 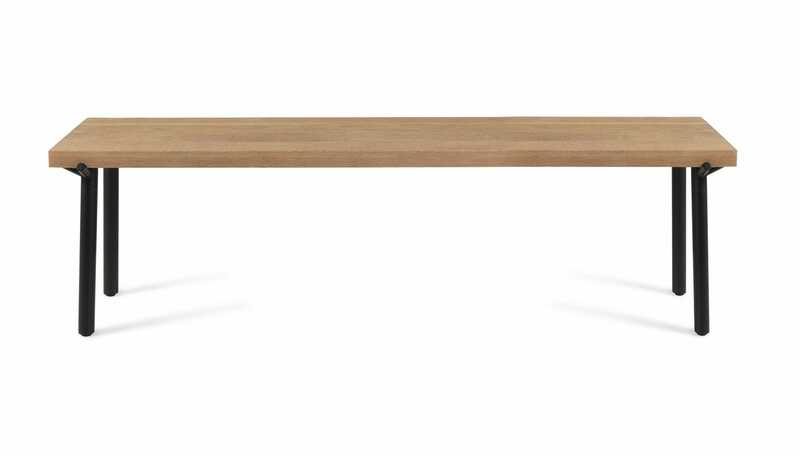 An inventive design for a sleek or rustic kitchen-diner, the contemporary lines of this bench are mirrored by the matching Branch Dining Table, which, when paired together, form the perfect set for large gatherings of friend or family dining. 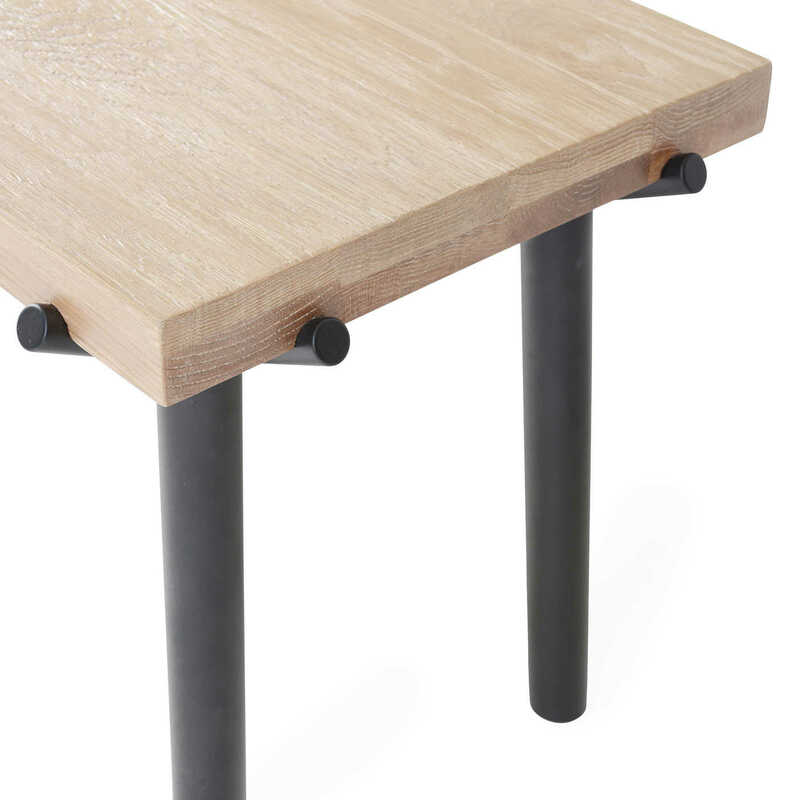 Made from solid weather oak with a smooth but rugged surface.